Chelsea legend Michael Essien, who left Panathinaikos in controversial circumstances, has just joined Indonesian outfit Persib Bandung as he embarks upon a new chapter in his career. The 34-year-old, who last played for Panathinaikos in the Greek league, has been training with Chelsea to stay fit and sharp. 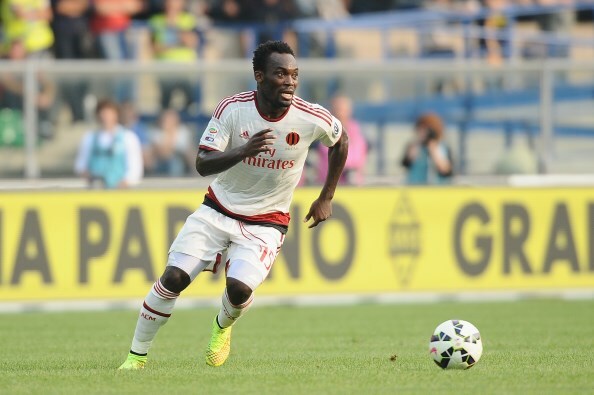 Essien is seeking payment for the remaining one year on his contract with Panathinaikos. The player reached an agreement with the club at the start of this season to end his contract, but he is now demanding that they compensate him. According to the former Real Madrid midfielder, he is surprised the club say he was 'unprofessional', because he insists he put up the best of behaviour during and after the time spent with them. Essien, who won the first of two Premier League titles in his first season at Chelsea and was also a member of the side who won the UEFA Champions League, four FA Cups and a League Cup, spoke to Inside Futbol's John Georgopoulos before his move to Persib Bandung was confirmed, talking about the wrangle with Panathinaikos. Inside Futbol (IF): What do you think about Panathinaikos’ allegations? Are you considering taking action if it is carries on? 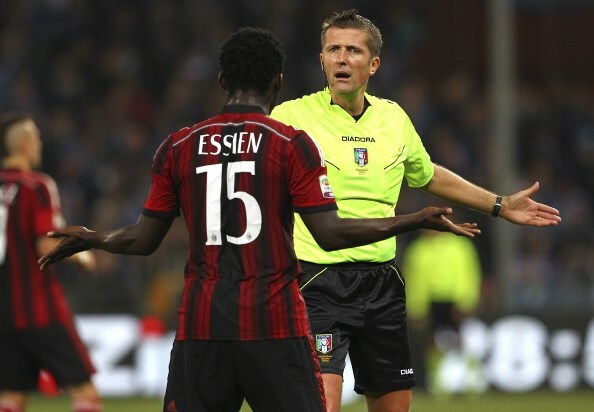 Michael Essien (ME): I understand there are allegations of me being unprofessional among other false statements and I would urge them to stop making false claims about me otherwise I will have no choice but to seek some form of redress for damaging my name and character. I never had any issues, arguments or problems with anybody at the club when I was there so I see no reason why my professionalism and character should be questioned. It's the first time in my 15 years plus career that such an allegation has been levelled against me and I find it unacceptable as it's not true. IF: For those who don’t know, why did you appeal in a Greek court and what did the Panathinaikos board has promise you? ME: When Panathinaikos informed me about its decision to terminate my contract, I accepted their proposal to settle all the outstanding amounts owed to me for the sporting season 2015/2016 in various installments until 2018. So, we came to a settlement agreement in favour of Panathinaikos’ schedule of payment. This agreement was mutually agreed twice (firstly on 8/7/2016 and secondly on 6/9/2016) and for some reason they never respected the schedule of payment that they themselves had proposed to me twice. For that reason I warned them several times both orally and in writing to pay me. But they failed to meet their contractual obligations towards to me. That's the reason why I decided to seek recourse to the competent committee of the Hellenic Football Federation (NDRC) and I trust that I will have a fair and just judgment beside the fake, defamatory and irrelevant allegations of Panathinaikos. IF: Why do you believe the club stopped paying you? ME: They have not explained to me why they cannot honour the agreements that they themselves proposed to me. IF: How was your relationship with coach Andrea Stramaccioni? Why do you think he stopped using you in the squad? ME: My relationship with Mister Stramaccioni was extremely good. He is a very honest man and we used to talk all the time when we were both at the club, and we still keep in touch with each other. He could not use me because I believe the club could not afford to pay me and wanted me to leave. IF: What do you expect from now on from the club? Are you frustrated about how things have gone? ME: First of all I trust the NDRC and that’s why I choose to go there instead of lodging a claim before FIFA. I strongly believe that I will have a fair and just judgment beside the fake, defamatory and irrelevant allegations of Panathinaikos. I believe that the NDRC will carefully examine my claim, my statement and all the evidence of the case and issue a fair and just decision. Also I respect everyone and expect to be respected in the same way so I will ask the club to stop painting a false picture of me and stop defaming my name and character. IF: What are your football plans after Panathinaikos? [Essien has now joined Persib Bandung]. ME: I am still active and training with Chelsea FC [Reserves] who are always kind and good to me. I am still searching for a club and hope to find one where my family and I can be comfortable.